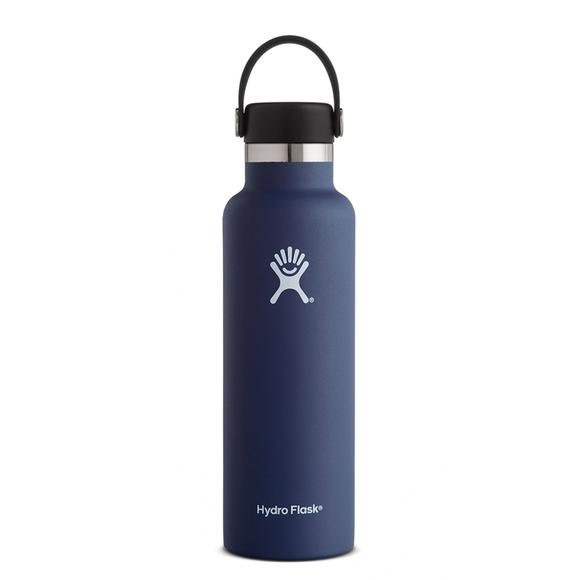 Hydro Flask's 21 oz water bottle is the perfect go-anywhere companion on your busiest days. It stashes easily in a small shoulder bag, your pack's side pocket or your car cup holder, and holds enough to keep you going for hours without weighing you down. The 21 oz Standard Mouth is one of their best selling vacuum insulated water bottles because of it's size and versatility. Hydro Flask &apos;s 21 oz water bottle is the perfect go-anywhere companion on your busiest days. It stashes easily in a small shoulder bag, your pack&apos;s side pocket or your car cup holder, and holds enough to keep you going for hours without weighing you down. The 21 oz Standard Mouth is one of their best selling vacuum insulated water bottles because of it&apos;s size and versatility.